This 16 oz. insulated tumbler includes a straw and screw on lid. 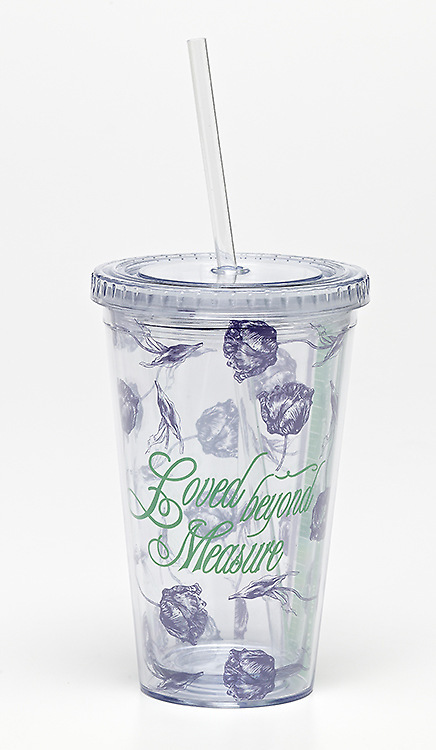 The lid measures 4" in diameter, cup measures 2 1/2" at bottom. Handwash only, cold beverages only.